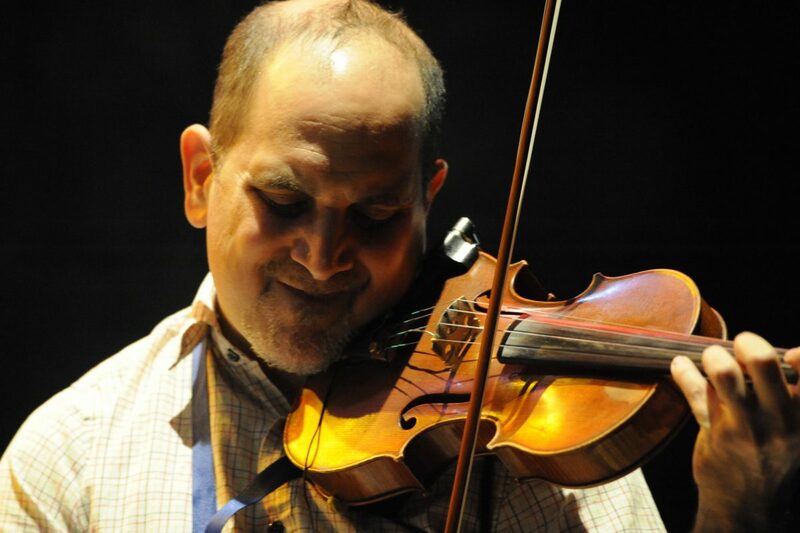 Sam Bardfeld is a violinist, composer, arranger and educator. In addition to being a member of The Jazz Passengers, Sam is a frequent collaborator of Bruce Springsteen’s, appearing on three of his recordings. He has worked with numerous jazz, pop, folk and experimental acts including Elvis Costello, John Zorn, Calexico, Rufus Wainwright, Anthony Braxton, Debbie Harry, Steven Bernstein, John Cale, Kris Davis, The String Trio of NY, The Red Clay Ramblers, Nancy Sinatra, Willie Colon, Johnny Pacheco and The Soldier String Quartet among others. Bardfeld’s own recordings have earned critical acclaim, including a “4-Star” rating in Downbeat magazine and he has performed with his own group at jazz festivals and clubs throughout Europe. He is also the author of Latin Violin(Hal Leonard).